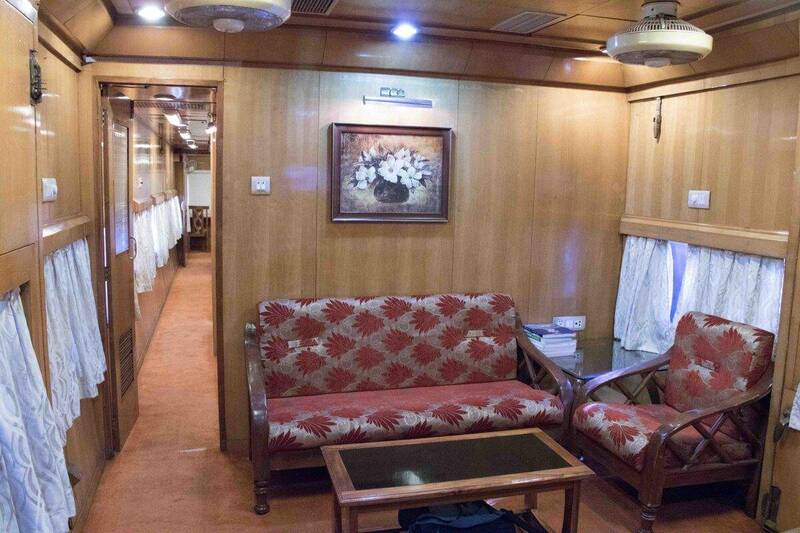 Now You Can Travel In A Luxury Saloon Coach Of Indian Railways! Making luxury train travel a reality for the common man, Indian Railways has now opened the doors of its luxury saloon coach for passangers. The privately-occupied coach which was earlier reserved for only top railway officials can accommodate six passengers. 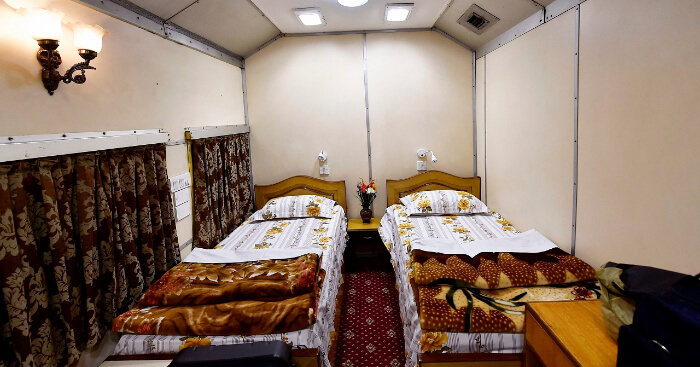 The coach, equipped with air-conditioned rooms, valet service, and an attached bathroom started its journey with six passengers of a private tour operating company as the Jammu Mail pulled out of the Old Delhi Railway Station. The six premium customers of M/s Royal India train Journeys will be the first passengers to experience the grandeur of traveling in a saloon car from Delhi to Jammu. After completing its four-day journey, the saloon came back on April 2. The saloon was attached to the Jammu Mail at the Old Delhi Railway Station for onward journey to Katra. According to IRCTC, the cost of the chartering this saloon car is about 2 lakh rupees. Since the saloon car has a living room, two air-conditioned bedrooms, dining area, and a well-equipped kitchen, it is worth the money. “This will be an all-inclusive tour where the guests will be offered all the comfort of a hotel. Exclusive staff will be available for services on board. Railway also provides one AC attendant and one saloon attendant for ensuring hassle-free travel.” the Indian Railway Catering and Tourism Corporation (IRCTC) said. 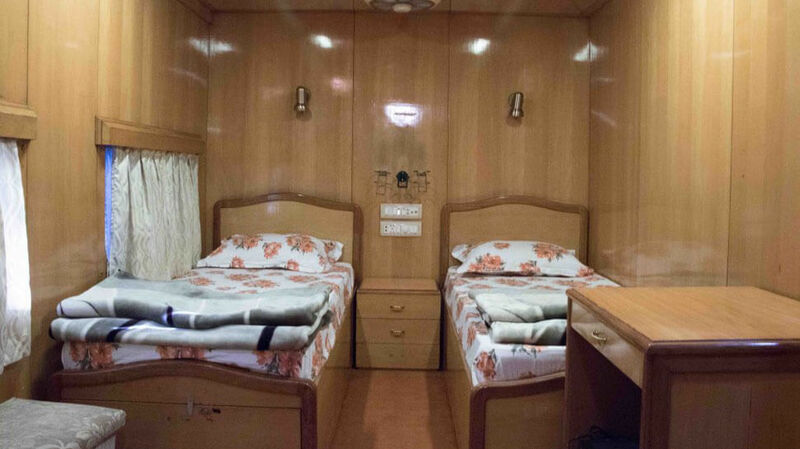 From now on, the luxury saloons are available for booking and the details will be available on the IRCTC website. The Indian Railways has a total of 336 saloon cars across railway zones, among them 62 are air-conditioned.